1. 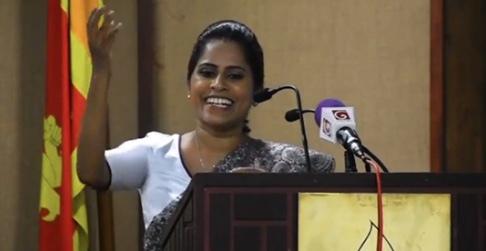 The Exposure of “Some Disgusting Abuses of Sri Lankan Justice System,” by attorney Sugandhika Fernando, the appeal by Attorney Nagananda Kodituwakku for unswerving public support, to rid the malaise of the Judiciary – the guardian of the nation’s peace, order, and good governance, – of its aberrant and rent seeking conduct, depriving of the most important deliverable, affordable and expeditious delivery of Justice, yearned by the public, but neglected for generations of the Parliament. It is a loud whisper decried then and now by the public, and –though very few in number-, also by bold luminaries of the fraternity: for example, a prominent luminary of the fraternity, PC Romesh De Silva- opining to the Sunday Observer “I have spoken many times about the issue on different platforms and even addressed the Bar Association. I don’t want to speak about it anymore“. 2. The 2013 World Bank study also reveals inefficacies of its management, gross lack of reliable management data, ICT tools even the most basic like email service, resulting in a backlog is said to be over 850,000 cases most of which are pending over a decade and steadily increasing. The estimate of consequent litigant population of nearly 70,000 is forced to commute daily to Courts, -most to be informed of the next calling date, yet forced to travel in the midst of aggravating traffic congestion, road accidents and parking hassle at courts etc. The resulting daily national loss of productivity is nearly 50,000 man days. The outcome of all these is the very lucrative enrichment of the legal fraternity at sacrifice of harsh erosion of national productivity and public convenience. 3. The Public Inconvenience is aggravated as there seems to be no recognized ethical code binding the conduct of the legal profession such as that prescribed by the IBA as quoted below in Table 1. This lapse is often exploited by attorneys in not providing court filing in advance for perusal by the client but providing it few minutes before or after filing. 4. The Constitutional Assembly’s Judiciary Subcommittee Report evinces the high likelihood that the status quo would be preserved. The report less than 8 pages, is minuscule in comparison with content of other Subcommittees Reports that are 50 pages or more. That too, excepting for independence of the Judiciary, the report extensively devotes more than 6 of its 8 pages for fortifying interests and well-being and opulence of judges. Its uncaring attitude to public convenience is shown from not doing away with the perk of Three Court Vacations of aggregate of 70 days ignoring its adverse impact eroding the average delay per pending case, by nearly 20 percent, whereas the colonial master who introduced the perk to – Sri Lanka- then Ceylon has done away with it well over two decades ago. 5. Most disturbing is the Judiciary Subcommittee blatantly overlooking to remedy the aforesaid deprived People’ Right of access to Justice: affordable and expeditious; the imperativeness, of field proven e-court services equipped with ICT tools –availed of even in nations like Bhutan– one of the crucial requisites – let alone the most basic email service is yet to be provided to its court system – to improve its deplorably poor management efficacy; avert the hassle of time and the cost of commuting to courts; overcome incompetency of the vast numbers of the fraternity in the use of rudimentary basic ICT applications such as email and VoIP services. 6.1 Mr Nagananda Kodituwakku also has pronounced to put up proposals to enact a new Constitution. It is quite timely if it aims to address critical issues enfeebling the current Constitution and Good Governance, in particular lapses aforesaid at 4 above. The most critical of these are the (a) Right to protect abuse of Peoples’ Sovereignty – the apex of all Fundamental Rights – through real time checks and balances; (b) People’ Right of access to affordable and expeditious, Justice; (c) the Right of assured Professional Competence, Accountability and Responsibility of statutory Regulatory Entities – which are currently the haven of jobs for the boys – illustrious examples are the Telecommunications Regulatory Commission of Sri Lanka (TRCSL) and the Information and Communication Technology Agency (ICTA); (d) the statutory role of national and sector public goods to serve the interest of the nation’s competitive markets and needs of repositories of national information systems, the local, divisional and provincial units of the center periphery chain; and (e) establishment of Lay Judge and e-Court System equipped with modern ICT tools elucidated at 5.2 to 5.5 below, to develop synergies to generate new integrative knowledge focused on resolving long overdue problems of the Judiciary. 6.2 It is a proven factor that the success of rapidly advancing disciplines like medicine, surgery, space and terrestrial communications and transport (road rail and aviation) is attributable to their creating synergies to generate new integrative knowledge for problem solving availing of expertise of multiple disciplinary backgrounds. 6.3 However, the legal fraternity of Sri Lanka has been reluctant to avail themselves of synergies of expertise of other backgrounds despite the legal principle that states “Ignorantia legis neminem excusat”; it imputes that all laws should be known by all, i.e., including all of the legal fraternity. In the “Law in crisis” Justice C.G. Weeramantry et al states that ” Certain is that our laws as they now stand are subject to great uncertainties and variety of opinion, delays and evasions…;..“. 6.4 The phenomenon of Lay Judges currently availed of by many nations, for example, Europe, Japan, Korea, China, India etc. has prevailed before the emergence of professional, legally trained judges struggled to find their place in many national legal systems. It is characterized by the competing demands of popular sovereignty and legal efficiency [cf – Lay Participation in Modern Law: A Comparative Historical Analysis Conference at the University of Helsinki, Finland, September 17-19, 2014]. 6.5 Such an approach helps fostering a partnership of multidisciplinary expertise of Lay Judges and e-Court Systems with expertise of the legal fraternity, for sustainable improvement of the Judiciary Efficacy with a focus on integrated societal expectations, driven by advancing science, technology and other relevant factors, such as the environment, impact of forces inhibiting social cohesion and harmony; crime, all other forms of aberrances, rehabilitation of their offenders, etc., and their impact assessment. Outcome of a typical instance from lapse of such expertise is given at 7 below. 6.6 Another facet is its freedom from institutional pressures personal or political stakes, qualifies it to best suited to: overcome undue influences that hinder orienting the Justice Sector to be more people centric; mitigate abuse of People’s Sovereignty entrusted to the legislature; dampen proneness to politicization of crime and rent seeking practices – the cause for the public hue and cry of corruption [cf. Testing Japan’s Convictions: The Lay Judge System and the Rights of Criminal Defendants Arne F. Soldwedel] As Judge John Fitzgerald Molloy says the failure to address aberrant conduct has transformed the system to a perverted commerce system, serving solely the interests of lawyers and not the interests of the public. 7. An Instance of Flawed Jurisdiction in Sri Lanka Harsher than the Inquisition of Galileo Galilee. An instance of a Jurisdiction issued void of multidisciplinary knowledge that deserve mention at least in brief is the Jurisdiction that upheld the flawed telecom tariff proposal (Ref DG/Misc/07) published around July 2007, prepared by a team of “THREE” attorneys of whom two are currently holding office of high status; one of them until recently was the Director General of the Commission to Investigate Allegations of Bribery or Corruption, who did not heed warnings by experts and ignored updating the “X” factor of the prescribed price cap [CPI-X]. 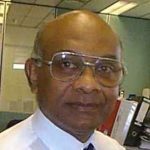 The leader of the team was the then Director General Telecommunications (DGT) Attorney K Ratwatte, the political appointee to the post by the then Government. The DG assured the Court that the tariff prescribed in the proposal fully conforms with the court order for equitable telephone bill reduction of around 10 percent, though in reality it was not. The DG being the sector regulator, the proposal was upheld by the court. 7.1 The outcome of enforcement of the flawed proposal re-affirmed the warning of the experts. As opposed to the equitable bill reduction, it resulted in a hike in the bills of domestic users by nearly 25 percent and a drop in the bills of commercial users by nearly 30 percent. It surged a flurry of appeals by grieved helpless subscribers, newspapers then reporting their discontent of price hikes contravening the court ordered bill reduction, but the regulator Attorney K Ratwatte carried on undisturbed – much like a feudal lord dealing with his peasantry and avoiding the queries of the media. 7.2 A bold Parliamentarian volunteering to be petitioner jointly with experts Professors Kumar David and H Sriyananda filed an appeal seeking redress of the unjust flawed tariff (Sunday Island 19 October 2008, SLT and TRCSL have together Cheated the Subscriber). The latter could provide an account of the satirical nature of the events that followed. However, this appeal was dismissed by the then Chief Justice (CJ) imputing the dismissal to the appellant awaiting retirement of his predecessor as the legal inadequacy to grant leave to proceed. But that was factually incorrect. The reality was the pressure exerted from above as the Minister in charge of the Telecommunications regulator was benefitting on the lucrative income generated. The irony is that this very same CJ not only allowed an appeal against jurisdiction of his predecessor, but also reversed jurisdiction of the bench presided by his predecessor! He ordered the incumbent of a very senior post of a ministry, to tender an undertaking, to Court that he would not take up any government post in the future- to reinstate the official. The flawed tariff proposal, following the dismissal of an appeal to the court to remediate its flaws, is still operative but un-remediated and the X factor still having the value prescribed in 1991, thereby inhibiting the end user benefiting from declining costs of telecommunication technology. 7.3 Thus, the aforesaid flawed Jurisdiction is far more atrocious, fallacious and egregious than the inquisition of Galileo Galilee by the Catholic Church for advocating Copernican heliocentric theory, however its benefits to global community at large was not stalled by the inquisition. Furthermore after 350 Years, the Vatican finally declared Galileo was Right, closing a 13-year investigation into the Church’s condemnation of Galileo in 1633.Hence, it is most appropriate to reopen the appeal previously dismissed by the then CJ to redress the benefits deprived to the telecommunication users. Acknowledgement: This article is based on the information provided by a prominent retired public servant and an expert in the field. I also appreciate the assistance offered by one of my close associates. We are yet to hear the Government response to the judicial system exposure by Ms. Sugandhika. 850,000 backlog of cases is mind boggling. Perhaps with the corrupt system many more get added to the backlog day by day. God Save Sri Lanka. To tell in summary, the whole of the operative system of Judiciary in S/L is a “No Body’s Business” to put to right. All those responsible for the “JUDICIARY” beginning with the Minister in the Legislature and running through the Attorney General down to the very lower levels of Law Enforcement Agencies; the systems and the operations are by “itself” and or “Manipulations” led to be STINKING and DETERIORATED to a level that which has LOST its “reputation”; “independence”; “credibility” and most importantly the “Public Confidence”. Just imagine, in the case against Mr. Tissa Attanayake for “forging” the signatures of the President and the PM who were “summoned” as witnesses not attending courts THREE times and the case getting postponed to another distant date. Yesterday, in the case against MP Namal Rajapakse on a charge of “Money Laundering (Rs. 15 million) the courts were informed that, still the AG’s instructions are awaited. In another case, where Keheliya Rambukwella has been charged for “Misusing” public money of the Printing Corporation to pay his private telephone bill of Rs. 230,984.00 getting postponed to again a “distant date”. “Whom” to blame for these “delays”? What would be the Public Perception ? Do the AG, Judges and all other Law Enforcement have shown any type of SOCIAL RESPONSIBILITY attached to their respective official capacities? Just refer your attention to the latest referral to the Supreme Courts the Legislation to set up “Special Courts” to hear “High Profile” cases of “Robbery” of Public Funds by those held and holding political and executive power. Those at highest level of legal profession could not draft it not to contravene the Constitutional Provisions. See how that has been DELAYED. Can we be blamed for “Suspecting” that to be “Manipulative”? Why go far, the President’s office had to put out THREE Gazette Notices ( correcting one another) re. the Prorogation and Summoning of the Parliament. That is the “LEVEL” of our “Literacy Rate” and the “Manipulative Systems” operated by the “Legal Community” that work within our Judiciary. What more to expect? Isn’t it already STINKING? and WHO cares? The efforts of Attorneys Nagananda Kodituwakku and Ms Sugandhika Fernando are to point out defects in our Justice System. It is wrong to depend on courts, per se, to deliver ‘justice’. Important components of ‘Justice System’ is the ‘Prosecution’. Courts verdicts are based on evidence presented. Unfortunately ‘prosecutors’ can be bought and a witness silencing industry has found its way. It all boils down to our acceptance of corruption as part of governance. 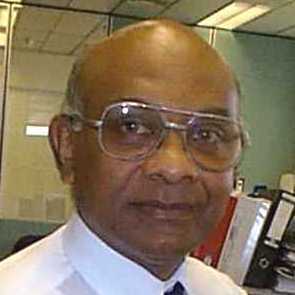 K.Pillai: You say: “Courts verdicts are based on evidence presented”. Yes; but what is the ROLE of the Judge and WHY there is a judge? The basic requirement is for the Judge to pronounce a decision based on EVALUATIONS made on the evidence presented. There could be tons of evidence presented; but it is for the Judge to look into pros and cons; evaluate; make morel judgement on others’ behaviour relating to the evidence and pronounce a decision. For example did you know what the judge , who was hearing the case relating to the 27 inmates killed in prison, said a few days back. He, in the open Courts told the Prosecutors to hurry up and “BRING” the REAL CULPRITS before his court. Just think WHY he said it. That is an instance, (in my opinion) this Judge “SENSED” something and made a “Moral Judgement” of others’ behaviour. Just imagine the “embarrassment” suffered by the Prosecution. That is the way the system must work and that is what people cry for. That is the STRUGGLE initiated by people like Mr, Nagananda and a politician like Mr. Ranjan Ramanayake, both of whome are now facing trouble in “Higher Courts” assisted by the “BAR” – (Not the Liquor Bar, but the Association of Lawyers.) I hear even Ms. Sugandika Fernando is also to be “dealt” with. That is why people quite rightly take ‘law into their own hands’. We cannot blame them. If otherwise will not get justice.